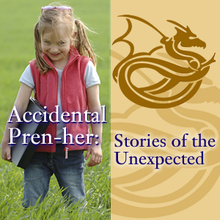 Several months ago, I interviewed Accidental Pren-her Moschel Kadoku for this month's broadcast of Stories of the Unexpected. Welcome to another episode of the “Accidental Prenuer: Stories of the Unexpected.” My name is Susan Reid and we have as our guest today entrepreneur Moschel Kadokura, President of Timely Matters, Inc. Welcome, Moschel. M: Oh, thank you very much. S: It’s great to have you here, so thank you for taking your time today. M: Oh, it’s my pleasure. S: Well, ladies and gentleman, I am excited to tell you that Moschel has just launched a brand new, innovative product that all of you parents out there will want to know about. It’s called On-Task On-Time For Kids and this cool product promises to keep kids on task and stop parents from nagging. That sounds almost too good to be true, Moschel. M: I thought so, too, when I set up my first system for my kids, but it really did work. S: Well, tell us how you got the idea for On-Task On-Time For Kids, and more about how it really does keep kids on time and on task while stopping parents from nagging. The first time I came up with this system, what I found was that if I put everything that the kids needed to do, along with a timing feature, they could go to this device and get themselves ready. It had all their tasks. It indicated not only what they had to do, but when they needed to do it, so it kept them on task and on time. And the first time that they used this, I remember feeling an incredible freedom from being this nagging mom, and they enjoyed it so much they were laughing. They were racing each other. They were racing the timer and at the end of that, they kind of said, “Look Mom, I did this on my own.” So they had a very positive feeling from using this system. So that was where the idea came from. Just managing my three kids and getting them off to school on time. I didn’t even think that this was a product; I thought that this is just something that I need to use because I was raising triplets. S: Yes, I bet it did. S: Well, indeed, this started out really as a survival method for you. S: Getting all of your triplets out of the house on time without turning into what we all hate and that is a nag. We all hate that; children, as well as parents or adults. Nobody likes that nagging thing. M: No, and I found that, in such a negative way, that nagging is sometimes synonymous with mothering. Parents have to nag their kids, and why is that? It’s because, when you nag, you feel like you’re saying the same thing over and over and over again and the reason why you’re doing that is because there is a routine set up within any certain part of the day. And I find that the transition times of the day, when you’re transitioning from home to school or from school to home, especially in the evening when you’re trying to transition your child from family time and awake time to bed time. When we started to formulate this, I knew it worked great for us and my husband saw it working and he thought it was a great idea, but I wanted to try it with other families so we decided to build 25 prototypes. We made stickers. We made pictures of children doing the little tasks that need to be done in order to go to bed: brush your teeth, floss your teeth, and take a bath. All of the tasks that you could think of: lay out your clothes for tomorrow, organize your backpack. The final product has 52 task stickers to cover the three times of the day: the morning, the afternoon and the evening. S: You know, I’ve been to your website and just for everybody that’s looking out there, you can check out this amazing product at www.timelymatters.com. When you go there, you’re going to see a picture of this product and you’re going to see that the drawings on it are just so cute and so appropriate, age-level appropriate, that kids will really enjoy not only the visual aspect, but, as you talked earlier, the empowerment that they get and the pride that they develop within themselves when they independently complete a task or move through a transition with ease. M: Yes, that is what we are hoping all the children feel. There is a way to reward success. We have a reward chart on the back. What we found with the prototype families, all the kids who tried it, that they just felt so good about taking ownership of that very important time of the day. I don’t think any of the families used a reward system. It was more just the kids getting the feeling that, “Hey, I did this by myself!” You know, I’m a big kid, too. So those were the three areas that we identified. I didn’t think about the afternoon routine. It was the prototype families that came back to me and… some of them had older children…and they said that the afternoon transition was really tough. Getting the kids to sit down and focus on their homework and then move on to soccer practice, or baseball practice, and getting them to get their stuff together. Those types of things in the afternoon, that came directly from families who tested the unit and said this is something else that we need. So the system comes with a timing unit and then three routine disks where you can set up times of the day. I think it’s real important that parents and children set those routines up together. that it’s not something where the parent sits by himself or herself and decides, “These are the kinds of things that we need to do.” I think if a child has real input in deciding what the routine should be and what makes that part of the routine successful, that just adds to their ownership into the system. S: You know, I agree with that. You know children are never too young to start taking responsibility, and when they do buy into it because they have a choice and they have a selection and they work together with the parent and, again, it really does become a wonderful part of their ownership and they buy into wanting to do the task on time. M: Right. And wanting to be successful because they’re part of setting it up and, yes, that’s one of the tips that we have in setting up the whole system, to really include your children in on the set up of this. S: That’s a great idea. Here’s a question I know we’re all interested in. Does this work for a certain age group or a range? M: The range is from kindergarten, from 5 years to probably about the 4th or 5th grade. That is what we designed the artwork for. Our oldest person who purchased this system is using it for a 16-year-old son and so it does go older. We do have some preschool children who are using it, but my personal feeling about this is that preschool might be a little bit young and the pictures that we drew in the past might be a little too young for high school and junior high school. It was designed for the elementary school aged children. S: Which is really, developmentally, the time when children start learning how to do these sorts of things. M: Right, and setting up the good habits. M: That’s what we were trying to accomplish and we didn’t really have a goal when I was using it with my children, as far as developing habits. But I noticed with my children, you just kind of step it up where they become more independent and as they get older to take on more responsibility and they become used to it. That did start with this system at the kindergarten age, at the first grade age, that they should be doing these things by themselves. That was the benefit of using this. S: Well, Moschel, let’s turn this to the business side of things now. S: We know that inspiration started along time ago, so when did you decide to become a business? How long ago has it been? M: Probably a little over two years ago. We started this business January 1, 2006. S: That’s a good day to start. M: I would say that at that point I had put a lot of work into it the year prior, but last year was when we decided we were going to make a pretty major investment on the design, a professionally designed unit and professionally designed color graphics. But before that, the year prior to that, was the testing, making the prototypes and doing the patent research. I think even the year before that I had written my provisional patent. The provisional patent covered my idea for a year so that I could test it, and so that I could go out and talk to people feeling that my idea was protected. After that year was up, I needed to hire an attorney to do a non-provisional patent. M: Yes, and I think that was because of the financial. If we were going to risk our investment, I felt that I needed to reduce that risk by doing the research, knowing that there would be a demand out there. That’s kind of how I felt that I would be able to sleep at night. S: Well, you know, that’s wonderful! Because you’re right, starting up a small business does take money, especially when we’re talking about a product that needs to be assembled, manufactured and patented. That’s a whole other entity of small business start up. So I imagine that starting up this small business has changed your life. Give us an idea of how it has. M: Of how it has changed? Well, it’s a different focus. I found myself thinking about this product almost all the time and what did I need to be doing next. What needed to be done on the business end? What needed to be done on the design end? What did I need to do with the patent? It was like having – my husband and I joke about this – but it was like having another child. It seemed like every eight years we had a child. And my youngest turned eight, and we incorporated. It takes that much effort. It is a 24-hour thing. My husband comes home from work and we talk about what happened today. What happened with the design company? What happened with manufacturing? It is all-consuming. S: It really is all-consuming and a lot of people don’t know that when they start up. Although you can start with a lot of part time work, once you commit yourself to going full fledge into a business, it really is all-consuming and all you can think about. It’s sort of like having a baby, isn’t it? M: Yes. And they were willing to pay a lot of money for it and I just said to go ahead and keep it. I didn’t want to take it. That was the type of reaction and what kind of got me going. It’s just not my family that it helps and it’s not just a good idea for a family with triplets. I didn’t realize that in other families, there are battlegrounds. There are times when kids will put up a resistance. If they don’t like waking up in the morning, they’ll fight with their parents over, you know, getting dressed. So, what this did in some households was completely eliminate that. It completely eliminated the conflict and I just felt that to be so inspiring for me, and it made me feel really good. That’s why we took it to the next level. You see, we’ve got something that other people can use. S: So, really, what you’re saying is you’ve answered the question: Yes, On-Task On-Time For Kids actually keeps kids on track without parents nagging. And you’ve developed a way that both parents and kids really enjoy what this product is and how wonderful it must be to wake up in a household that isn’t screaming, “time to get out of bed” for the 500th time or missing the bus, or that crabby time transition in the afternoon. You’ve just found a really fun and organizational way to make that all manageable. So let me ask you the last two questions here. What do you like best about being a small business owner? M: What do I like best? Well, I have a lot of control over my time. I can work when I need to and when I want to. I have worked at schools, substitute teaching, and it’s a very set kind of a day when I need to be at work. But now that I own this business, I know that I am the controller of my time. S: That is something that every parent, everybody, loves to have – that control of their time. So, boy, that’s just a breath of fresh air. M: Yeah, and when you have children who are pretty active, it gives you some flexibility. On the flip side of that, though, is the feeling that you should really be working all the time. It’s hard to set that boundary. S: Uh huh, that’s a work ethic isn’t it? M: Yeah, but I enjoy the flexibility and I feel that I need the flexibility. Having four kids, I need to have that flexibility to be there for their things. And as far as having my own business, I don’t know that it’s more the creation of a product, but I do feel a sense of pride when I do look at this product. That this is something that comes pretty much from the work of my family. That, to me, is a sense of pride. M: Yes. Yes, it is very satisfying. What I’ve enjoyed, really, is just the networking that I’ve had with friends, or friends who are in the professional aspect, who have helped me and encouraged me. The coaching that I got to get my product from idea stage to prototype stage was a wonderful experience. 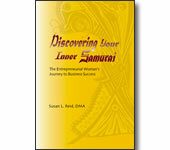 So, there’s things within the business, the process that I had to go through, that I have really, really enjoyed. I think that it’s mattered because I was always thinking about this product, bringing it to fruition = that’s part of the joy, the process. S: And I can hear that from you. I mean, your products came out of situation, and not only was your family the inspiration, they were also the guinea pigs and it really became a part of everything about your family and you. So tell us, Moschel, how can we get in touch with you to get this product? M: Well, our website is www.timelymatters.com. That is our website and it has all the information. You can also reach me at M as in Moschel, K as in Kadokura, mk@timelymatters.com. Or, if you’d like more information, we have an 800 number. It is 800-731-4272. S: Moschel, perfect! Thank you so much. We’ve come to the end of our podcast today. Just thank you so much. Ladies and gentleman, go get Moschel’s product if you want to take care of your On-time kids and get them On-task. This is the way to do it. If you want to stop your nagging, this is the perfect way to do it to. And thank you, Moschel.